Reprint. Film tie-in Illustrations and text on inside covers. Originally published: 2011. Hermann Kermit Warm is going to die. Across 1000 miles of Oregon desert his assassins, the notorious Eli and Charlies Sisters, ride - fighting, shooting, and drinking their way to Sacramento. But their prey isn't an easy mark, the road is long and bloody, and somewhere along the path Eli begins to question what he does for a living - and whom he does it for. 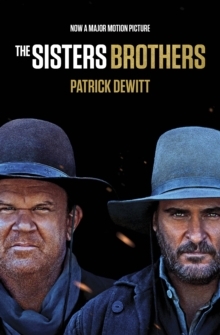 The Sisters Brothers pays homage to the classic Western, transforming it into an unforgettable ribald tour de force. Filled with a remarkable cast of losers, cheaters, and ne'er-do-wells from all stripes of life-and told by a complex and compelling narrator, it is a violent, lustful odyssey through the underworld of the 1850s frontier that beautifully captures the humour, melancholy, and grit of the Old West and two brothers bound by blood, violence, and love.